The Money Quest: What is the right time to buy a home? What is the right time to buy a home? The following question was asked by Shashaank in the comment section of the post: 8 tax considerations to know before investing in property. I have around 15 lacks in hand...is buying property with added loan the best decision, i pay around 40k income tax per annum apart from declaring 1 lack under 80c.My age is 25 and i am open to any other kind of investment. Yours is a typical case of the classic dilemma (to buy or not to buy a house) faced by every young men with a bank balance of a few lakh rupees. Conventional advice is to buy a home early in life. But as usual I can only offer unconventional wisdom. From what I can gather from your comment, all you have is Rs 15 lakh and you want to invest the entire savings to buy a house and financing the balance with a home loan. May be you think that property is a great investment (amazing returns without any accompanied risk) or, it might be that you want to avail tax breaks available on the housing loan in addition to saving rent (rent is a waste of money!) or probably the temptation is due to current low rates of interest (teaser rates) available on home loans. 1. Return on property investments: A lot of people remain under the impression that property is a great investment just because land is the only asset with a limited supply on the earth and till we’re able to discover another habitable planet, the land prices can go only in upward direction. Another related wider misconception is that property investment is lot easier (just approach a property dealer) and safer (no downside risk) than other asset classes like equities and mutual funds. May be that they have never heard of US housing bubble. Understand that property as an asset class behaves in similar fashion to other asset classes like equities, gold and commodities. Put another way, real-estate market also moves in cycles (boom-and-bust) just like stock markets (what goes up must come down!). 2. Tax breaks on home loans will no more be available in future if DTC (direct tax code) is implemented in its current form. 3. Interest is an additional cost borne by you. 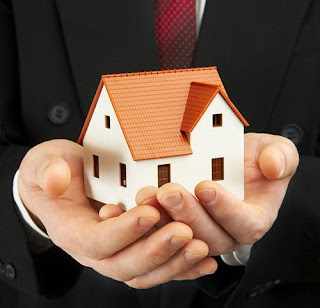 Further, there are lots of other indirect costs associated with buying a house e.g., brokerage, loan processing fees, stamp duty and registration, municipal taxes, maintenance charges, repair charges, loan insurance charges and house insurance charges which significantly impact your true cost of ownership of a house. 4. Unlike other asset classes investing in property has long term implications. 5. Real estate is the most illiquid asset. Ask yourself following questions: What if there’s an emergent need for funds in the future? What if there is another recession and a salary cut? Or, what if you face a job crisis in future due to any other reason? What if there’s a significant drop in the real estate prices and the lender invokes “Depreciation of security” clause? What if interest rates rise and there is downturn in property prices at the same time? What if you have to change the city due to transfer or change of job? 6. You’ve not mentioned the value of the house and / or the amount of borrowing you’re planning. But let me tell you that excessive debt is not good. It is considered risky to borrow money to invest in stocks but not in property. Why? Isn’t it a case of financial leverage when we borrow money to invest in property? Don’t we also say that companies with debt on their balance sheets are more risky than the others? The point to note is that excessive leverage is bad irrespective of the purpose. It is better to finance an asset out of your current savings rather than future income. Do you know the main cause behind US subprime crises? Although banks are ready to finance even up to 80-85% of the property value (in fact, lenders often encourage you to go for the maximum possible loan amount), it is always prudent to restrict your debt exposure to lowest possible level, in any case not more than 40-50% of the value of the asset and 50% of your net monthly savings (your take home pay less your monthly expenses). The purpose is to continue savings and investing to meet other financial goals and also keep a buffer for unexpected expenses & life style inflation. Furthermore, as almost all banks and hosing finance companies are currently offering teaser loans so one has to also keep a safety margin for the imminent future increase in the EMI. So first understand how much loan you can really afford over a period of 20-30 years? You can calculate your loan affordability (& not eligibility) based on the maximum EMI you can afford to pay (as discussed in the previous paragraph) assuming a rate of interest around 2-3% more than the rate you are currently offered by using Loan affordability calculator. No doubt, it is the dream nurtured by every young man to own his own house at the earliest. But as the above analysis shows it is better not to make this most important investment decision in a hurry and take adequate safeguards to reduce the likelihood of decision backfiring on you later. Finally, it’s not about real estate vs. equities. In other words, the point of discussion is not whether investing in real estate is better than equities / other asset classes or vice versa. These are both different asset classes having their own pros & cons. The point is one should first have some investments in other asset classes, then buy a house for living (& not investing) as per your needs (& not wants), and after that even if you got some extra money, you might think of investing in real estate. So Shashaank, first have some comfortable savings level. Your first priority should be to build a healthy investment portfolio by investing in debt (PF, PPF, NSC, Bonds, NCDs, Debt funds), equity (direct investing / diversified equity funds, index funds, ETFs) and gold based on your financial goals, risk profile and time horizon and then after some years you can go for your dream house. Remember—Buy in haste, repent in leisure. In a nutshell, buy a right house at the right time and for the right purpose. Do you agree? Please don’t forget to tell me about your decision. 2. Why do you need a savings plan? One more think Shashaank should consider is marriage ( I am assuming he is single from his age ) .Setting up a house after marriage is not cheap . He has a good amount of savings and he should keep a part of it for this . I get your point which is definetly practical, all i wanted is to be safe as this fund belongs to Me, my mother and brother, and hence i thought buying property was the best decision. Fisher, Could you please suggest a good breakup of this amount (15 to 18 lakh) for a long term investment where in my family gets benifited. Note:- I have enough fund for emergencies and marraiges etc... so any immediate cash requirement should not be a problem. Please suggest accordingly. I have already listed the various investment avenues in the above post. Further… all I can say is that please don’t make the mistake of investing 100% in either equity or debt. Keep a proper balance as suitable to you. Secondly, while investing in stocks, please don’t invest in one go. For more details, read the blog. hi fisher,i plan to make 30 lakhs in three years to buy a house in my town.i save 60000rs after expenses every month .iam 25 yrs old and willing to take mediumto high risk.i alredy have a ulip(45000/annum) which is for the long term(25yrs) and i have money put aside for it.can u suggest me .i have no other jobs or responsibilities. To achieve your target of Rs 30 lakh in 3 years by savings Rs 60,000 p.m., you need to earn an average rate of return of 22.5%. This is not possible unless you take undue risk by investing entirely in equities. It will be a lot better if you can wait for 4 years instead of 3 years. By the end of 4 years your investment corpus will be 36.75 lakh (ignoring tax) @ CAGR of 12.2% assuming you invest in equity & debt in the ratio of 60:40 and with a further assumption of return of 15% from equity and 8% from debt. This also provides enough margin of safety. I have 20L and i plan to give this money to one of my relative (trustworthy) who will be give me an interest of Rs 20000 per month. Keeping risk aside, could you please tell at what percentage my money is growing and is there any better way to grow my money beyond this rate. You’ll be getting a (risk-free) return of 1% per month which in my opinion is good enough. The other alternative is to invest in equities (but it involves risk). I have 3 Lakhs to invest, how is Kisan vikas patra for mid/long term investment. I am 30 years old & want to buy a house in another 10-12 years either in Pune or Bangalore that costs around 60 Lacs in today's market, which I assume would be around 1-1.2 crores in 10-12 from now. I want to build that corpus & buy the house without taking loan. I dont have any investments as of now. I can start investing now with a monthly amount of 60000. Do you think its possible & if yes then how do I build that? Yes, of course it is possible to build a corpus of Rs 1.2 crore in just 10 years by saving & investing a regular amount of Rs 60,000 p.m. provided the average post-tax return on your investment corpus is 10% per annum which is not difficult to achieve if you’re willing to invest 70% in equity (either directly or through mutual funds). Invest Rs 42,000 in equity [assuming 12% (tax-free) CAGR] and Rs 18000 in debt (assuming a post-tax yield of 5.5%). And, if the actual rate of return is higher than the assumed, your target is likely to be achieved much earlier. Kisan Vikas Patra (KVP) is a good debt instrument for medium term investing. Your money doubles in 8 years & 7 months which means a CAGR of 8.4% which is taxable. For more details, just wait for some more time…let me write a separate post. What would the amount be after deduting tax at maturity? One more question, Is NSC better or KVP? I read your answers to the dilemma faced by someone over whether to buy or not to buy property. All very helpful insight. And honestly those are the very reasons why my husband and i have still not plunged into the bandwaggon. The truth is a loan as big as 80% of the property value, puts such high liability on a family and specially the working individual (despite the fact taht we both work) that i have seen very senior people also in proffessions doing yes man ship and not being able to leave a job not so good, because they have such huge loans. Its scary to put away all the money one has into a house and then also have 80% of the loan pending. Our parents and grandparents never bought property with loans. they did it with the liquid money they had in excess. This credit system has completely skewed people's thinking. Having said that, i still have one query. We are lawyers and stay in a rented house paying 23k per month as rent. As the family grows we will be forced to spend more on rent. we cant move very away from office since we are from small towns and still havent been able to settle into the bombay long distances travelling despite having lived here for 5 years now. But this money is only going waste is it? the place we live is closer to south mumbai though its central line, so its a lil cheaper. Request you to throw some light or give some analysis on this please. You are trying to say that the rent you pay is a waste of money. Right? Okay, let’s say that current market value of your leased apartment is 50 lakh and you decide to purchase it from your own funds to save on the rent of 23K per month you’re currently paying. Now, tell me where this money will come from? You’ll have to liquidate your existing investments to finance the house purchase. And, therefore you’ll lose out on the return you’re currently earning on those investments. Suppose your average rate of return on your current investments is 10%. So, to save an annual rental of 2.76 lakh, you would like to forgo an annual return of 5 lakh on your investments. Please note that this is a very crude example just to put the point across and make you realize about the opportunity cost of owing a house. There are many other variables which need consideration e.g., other associated costs which comes bundled with house ownership, expected increase in property value over a period of time, the tax impact etc. I hope you got the point!! Thanks for all your valuable suggestions; I am sure this will clear everyone’s conceptions as it did mine. I am planning to purchase a house very soon but that time duration could go to a year or more, in the meanwhile I have around 10L laying in my saving account. Any advice to use it wisely, I have already invested in generally most of fund like PPF, Bonds, FD, ELSS etc.. I want to buy flat of 30 Lacs in mumbai western suburbs (andheri-dhaisar). I have a Housing loan Sanction of 80Lacs. How much cash should i have in hand? (as most builders want me to do the 80:20 ratio i.e 80% loan and 20% cash). Banks have stopped giving Personal loan now, in the last 6 months i hv not been able to fetch a PL. I dont have any cash or any investments now? I need to buy a house in the next 2 months atleast. what's the urgency in buying a house if you do not have any cash or investment for a down payment. It will be better if you can save for a year for the down payment and then think about purchasing . I suggest wait for 2-3 years to buy a house, as the recovery is still fragile - there is a problem with Eurozone economies, also UK and US. If a major economy defaults it will send the markets into a tailspin whcih will make the Lehman Brothers fall of 2008 look like a fairy tale. Do you think real estate stocks are a 'proxy' for real estate prices? don't you think it is easier to invest in a stable real estate stock and pull out /re-invest along with the trend,Instead of locking yourself with a house. also ,can you please add the 'property tax' ,maintenance charges as well ,to existing house prices ,like what %age of tax should be paid for a new house..
i want to buy a house which costs 50L in 2 years , i need a minimum down payment of 10L , please suggest me how can i achieve that. This is a good article. However I feel still it might be lacking a thorough 360 degrees analysis. Buying house involves lot of other things than pure math. I felt it would have been good if you had also given some calculative examples or perhaps some excel based few examples. Amanda's question was really interesting on what would be best course of action here. Wether to take loan and loose interest on saved money plus interest payment to bank. An excel based full proof consideration/calculation of the two approaches(whether to buy house/keep paying rent) would have been extremely valuable. You’re right…it lacks 360 degree analysis, but it was not required in this particular discussion. Anyhow, buying a house vs paying rent is a very controversial topic…I’ll come up with a detailed case study on excel…wait for some time. Planning a home purchase isn’t something that you should just jump into without some careful planning. It pays to get yourself in the best financial position before you do anything as this can potentially make or break your plans. We have some tips for planning your house purchase from a financial point-of-view. Buying or investing in home is really a big decision and one should take care of all the aspects before he/she proceed to finalize things. This article being a great information for all who are planning to buy or invest in house.